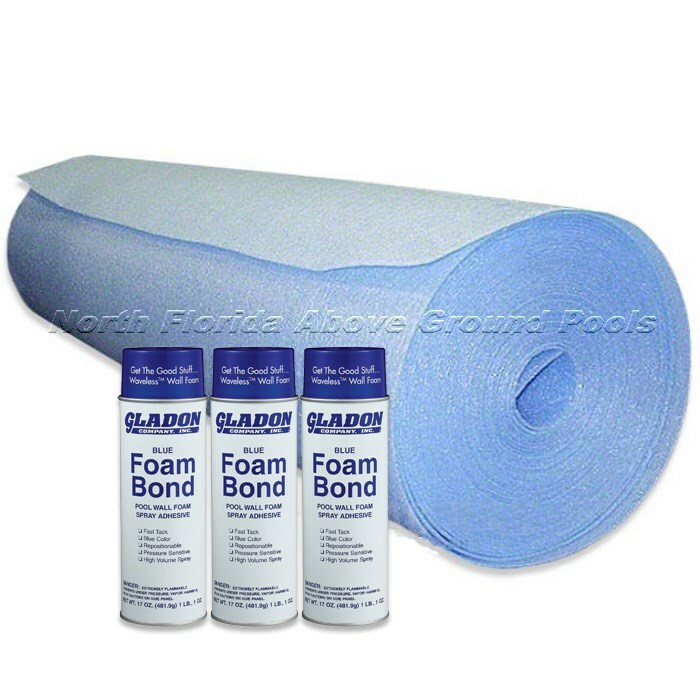 Pool wall foam kits for above ground pools are designed to keep pool water warmer by adding insulation to your pool wall. At the same time it protects your new swimming pool liner from punctures. This is especially effective on older swimming pool walls that may now have a rough texture. Adding the pool wall foam will help smooth out the roughness and keep the liner from coming in contact with coarse wall surface. Pool wall foam is held in place with Foam Bond. This is extremely sticky and highly recommended for use on wall foam over other brand spray adhesives. This spray glue must be applied to a clean dry pool wall to hold foam firmly in place. Pool wall foam works with pool walls up to 54″ tall. Foam color may vary by supplier.